When it comes to your real estate needs in the State of Arizona, you have come to the right place. My name is Jackie Henry, and it would be my pleasure to help you find the ideal piece of property. Even if you are looking to sell a property that you already own, we can offer a wealth of information on the process to help you out. Many people are unsure of how to begin going about the reality process, so we encourage them to visit our website. Those who are interested in renting properties and making investments on the realty market will be able to get plenty of information from us as well. The company Poolwebsite even includes many pieces of information detailing the satisfaction we were able to bring our past customers, so find out about what this could end up entailing to someone just like you down the road. These positive reviews and testimonials beautifully detail how we are able to keep a steady customer base on the market after so many years. No one should have to be on their own when it comes to any matter of the realty world, so find out about the things we are doing to help everyone experience the best on the market. It would be our pleasure to serve as your real estate agents for years to come. Find out more on our site today! Buying a house is a dream that many people have. What if we were to tell you that we could be the ones that would help this dream to come true for you down the road? I do my part to get people started before they know it. One thing we feel is worth mentioning is that, unlike the other real estate companies, our company is one that is going to go out of the way to get to know you better. We already know that you have unique needs and desires when it comes down to things; I am determined to make sure you know this all yourself. Our team is striving to help everyone to learn more about the process and I am someone that they still rely upon to this day. 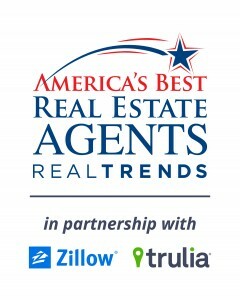 Our streamlined, more efficient process to doing business on the realty market has helped us to stand out above all of the other competing real estate firms, so see what it is that makes our company one of the absolute best and finest on the market to this day, even in the midst of economic strife and difficulties. What we do for people is what it takes for them to learn more about the process. We also bring many resources that are going to make buying that much easier at the end of the day. Listen to our agents, and you will be pleasantly surprised by how much good we could end up doing.